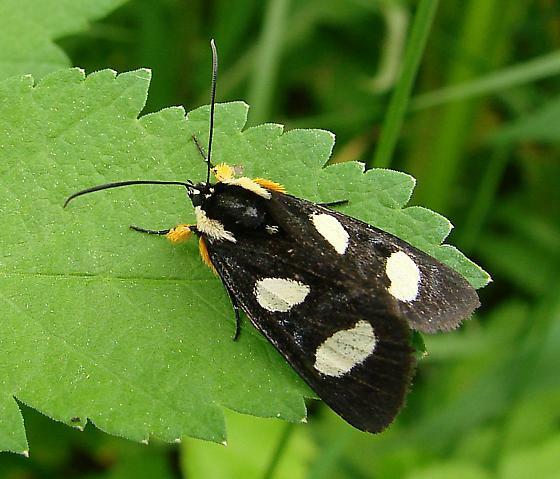 This is another showy, day flying, nectaring moth. It has long bright orange hairs on its two forelegs, which look like collected pollen. 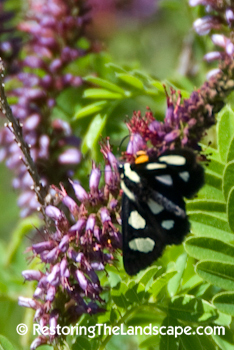 It has two creamy-white spots on the black forewings, and two on each hindwing, thus its common name Eight Spotted. I first saw this moth a couple of years ago, nectaring in a prairie in late May. It was moving quickly from flower to flower making it fairly difficult to photograph. 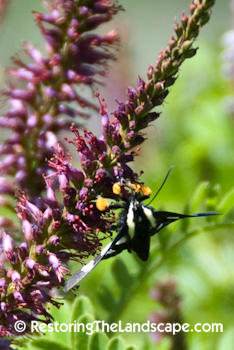 It was exclusively nectaring on Amorpha nana - Dwarf False Indigo that day. Woodland and forest edges. 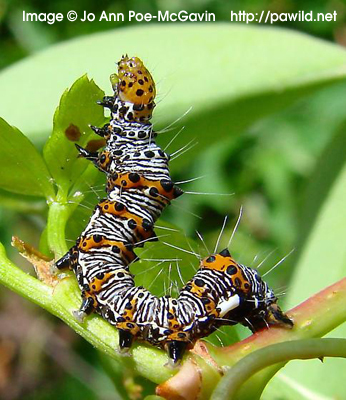 One generation in spring with mature caterpillars from April to July. Caterpillars overwinter in chewed out cavities in pulpy wood. Caterpillars often perch on the underside of the vine leaves near shoot apices and consume the leaves, tendrils and growing stem tissue. Both these vines occur in Minnesota, but Woodbine is more common. (Source) They are very similar in appearance with palmate leaves and 5 leaflets. Most often you will find them growing in woodlands up tree canopies or horizontally along lower growing shrubs or the forest floor. They can both reach heights up to 60 feet. 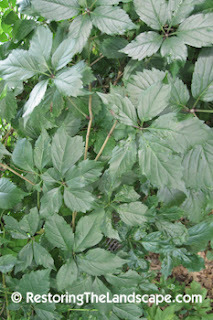 Please refer to this article for distinguishing between Woodbine and Virginia Creeper. Riverbank Grape is species of native Grape Vine that occurs in Minnesota. It is also a climber and will reach heights up to 75 feet. Compared to the Parthenocissus species above, it likes a more open, sunny and often disturbed habitat. 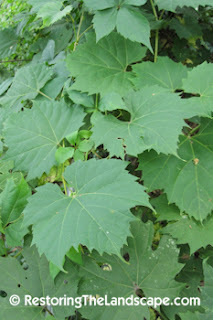 We have both Woodbine and Riverbank Grape growing in our yard. See earlier post. Riverbank grape can be aggressive so you definitely want a structure for it to climb on if you plant it in your yard. I plan to look for the Eight Spotted Forester Moth caterpillars on these vines next spring.